Superheroes are all the rage these days, with the popularity of comic books and merchandise boosted by the Hollywood juggernaut that is the superhero movie genre. 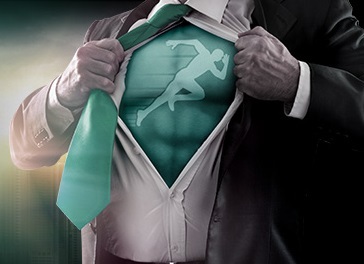 This infatuation with superheroes has even extended to the world of online slots at Bet365, with over €300,000 to be won over the next two weeks in the Super Cash Dash. There are no strings, opt-in requirements or unusual terms and conditions to taking part in this promotion. All you have to do is follow these steps. Each week, prize draws will give away cash prizes of up to €5,500. As you can win multiple tickets each week, you can win multiple prizes as well – including the biggest cash bundles. There’s no limit to the number of tickets or prizes you can win. There are two prize draws taking place over the next few weeks, with a combined €330,000 in prizes to be won. The first draw is for the promotional period of March 13-19, with €110,000 to be won. The second draw is for the promotional period of March 20-26, with €220,000 to be won. Prize draws will take place on March 20 and March 27. For the second prize draw (March 27), all prizes will be doubled! The promotion runs until 23:59 GMT on March 26. Weekly promotional periods run from 00:00 GMT on Monday until 23:59 GMT on Sundays. Wagering requirements are €11 per ticket; this is converted to £10, US$12 and so on. Consult the Bet365 website for your currency conversion. Prize draws will be conducted by an independent company and prizes will be credited to winning accounts within 48 hours. Prizes are valid for 14 days and must be wagered, transferred or withdrawn before this deadline or they will be removed. Players deemed to be using minimal risk wagering tactics to earn tickets may have their prizes removed. Bet365 reserves the right to amend, cancel, reclaim or refuse any promotion at its own discretion.